For over 30 years, A and L Engraving has provided our customers with personalized, engraved jewelry and gifts. From bracelets, rings and clocks, to pens, cufflinks and cutlery, we offer great gifts from a trustworthy, family owned company. We have an array of customizable gifts available and perfect for any occasion. Milestone birthdays, graduations, and wedding gifts all gain uniqueness with exquisite engraving and personalization. Our master engravers use time-honored technique and precision, resulting in crisp and eye-catching etchings that delight the special people in your life. At A and L Engraving, our rotary and laser engravings are highly accurate and bold, helping you give a memorable gift. Browse our site to view our fine products, and to find a perfect gift for your intended recipient. 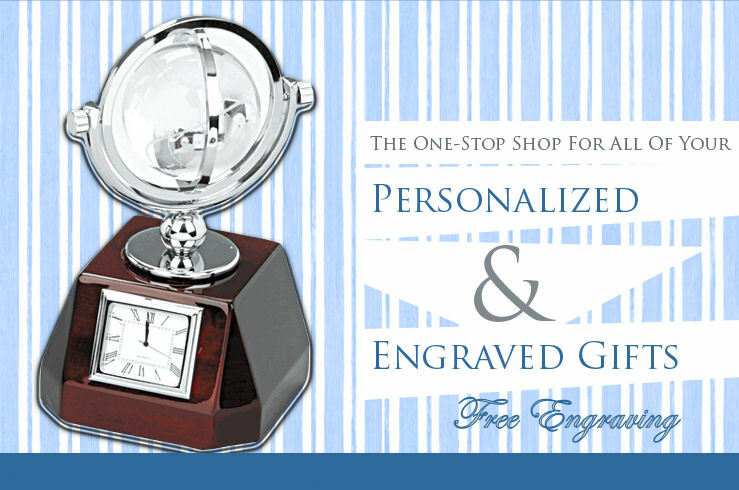 For more information on any of our personalized engraved jewelry and gifts, please contact A and L Engraving today!